AmberUnmasked.com has been around since January 2010. Prior to that I wrote about comics and cosplay on other blogging platforms. I frequently guest hosted on other podcasts while doing my own YouTube videos, but then decided to reboot my media by dedicating recording to audio podcasts and thus, Vodka O'Clock was born March 8, 2012. My show includes interviews with people in all areas of entertainment and social activism plus convention coverage. My writing includes both journalism (reviews, op-ed pieces, news, tutorials) and personal pieces about living with mental illness, relationships and body image. I've been published on Femsplain.com and Women Write About Comics. I also write fiction in different forms including educational comics for a young readers publisher; indie comics that have appeared in anthologies such as Rise: Comics Against Bullying and Shakespeare Shaken; I also guest wrote for the Subculture webcomic. 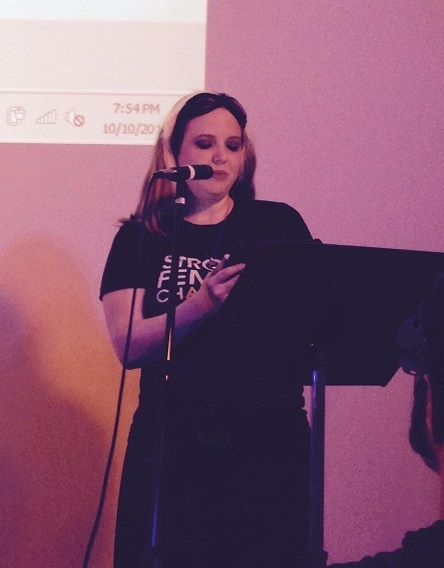 In 2015, the Protect volume 2 anthology came out and I have a short story in there next to great authors like Josh Stallings, Neliza Drew, Thomas Pluck, Harlan Ellison, and Joyce Carol Oates. This book was nominated for an Anthony Award. January, 2016, my first mystery novel, Cardiac Arrest: A Farrah Wethers Mystery was published and is available at major outlets and on Kindle. The sequel, Full Body Manslaughter, was published October, 2016. The third book in the series, Miscarriage of Justice, was released in May in 2017. My first horror novel, Misty Murder, debuted September 22, 2017. New for 2018 is an occult, new adult novel titled Bear Roots which is rolling out in waves to Patreon backers based on lifetime donations. 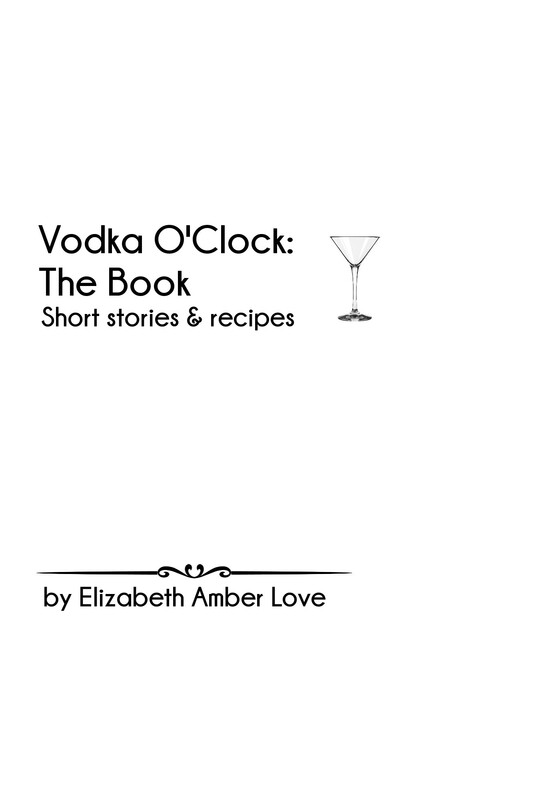 I've also been slowly working a Vodka O'Clock book with short stories and drink recipes if I can figure out how to get photos laid out properly in Scrivener. Hopefully Amazon's new platform since they bought CreateSpace will make image layout easier. I haven't had time to research it yet. There is a special reward tier for local convention organizers so that you can bring me to your show for a day to be on a panel or host one since I love interviewing people. For the first level, you get access to the Activity Feed which will have progress updates about things I'm working on. You'll get to know the release dates of new shows (since who's on and what date are not announced in advance unless the guest spills the beans accidentally). You also get The Winchester-Nabu Detective Agency posts a week before the public. For this level, you get the Activity Feed with show announcements plus short blog posts open only to this level. You'll also get the file of my ebook Cardiac Arrest, the first of the Farrah Wethers Mystery series sure to get your hooked on the amateur sleuth. Everything in the lower rewards. Plus, If you're on Twitter, you can let me know your handle and I'll follow you and give a public tweet thank you. I reserve the right to unfollow at any time (sorry but real world scenario is that I block harassers aimed at me or my peers). Everything in the lower levels, plus you'll also get first glance of things I'm working on which can be things like comic scripts, blog posts, fiction/prose before they get submitted anywhere else. You get the lower rewards and if we can work it out, you can join me on the show which is recorded over Skype for 30-60 minutes to talk about books, comics, movies, current events and things you like. Though the show is labeled "explicit," this is still a mainstream show like you would hear on the Nerdist -- in other words, if you can't maturely discuss topics, the show won't happen because I don't tolerate harassment and degrading discussions. *CON ORGANIZERS* If you run a convention that is within a 2 hour drive for me (Warren County,NJ) I'll come host, moderate, or join your panels to talk about feminism, podcasting, writing, cats, cosplay, whatever subject I can possibly fit into among the other professionals. * The date has be feasible for my schedule. * I don't drive during snow, hurricanes or otherwise disastrous travel conditions. * Your venue can accommodate parking that doesn't cost over $20/day. At this milestone, I'll release another short story in a collected format with the others which have been released to backers already. It'll be in one file for easy reading in PDF and mobi formats. The PDF file has a bonus boozy smoothie recipe.